┌1A. LaminaLamina: Leaf blade. regularly pinnatifidPinnatifid: (rarely on one side only). │ ┌2A. LaminaLamina: Leaf blade. lacking perforations. │ │ ┌3A. PinnaPinna: A primary division of a pinnate leaf. e 15-30 in number per side, flowering spadixSpadix: A spike of minute flowers closely arranged around a fleshy axis and typically enclosed in a spathe. 3.5-5.0 cm. thick (Nicaragua to Panama) . 18. Monstera tenuis. │ │ ├3B. PinnaPinna: A primary division of a pinnate leaf. e 4-12 per side, flowering spadixSpadix: A spike of minute flowers closely arranged around a fleshy axis and typically enclosed in a spathe. 1-3 cm. thick. │ │ │ ┌4A. LaminaLamina: Leaf blade. broadly cordateCordate: at the base, secondary lateral veinVein: Venation types: A. midrib; B. primary lateral veins; C. interprimaray veins; D. secondary veins; E. collective veins; F. tertiary veins; G. basal ribs; H. basal veins. s reticulateReticulate: Reticulate Venation. , pistilPistil: The female reproductive part of a flower. s 10-18 mm. across in fruit .. 22. Monstera deliciosa. │ │ │ ├4B. LaminaLamina: Leaf blade. truncate to acute at the base, secondary lateral veinVein: Venation types: A. midrib; B. primary lateral veins; C. interprimaray veins; D. secondary veins; E. collective veins; F. tertiary veins; G. basal ribs; H. basal veins. s parallelParallel: Parallel Venation. , pistilPistil: The female reproductive part of a flower. s 5-8 mm. across in fruit. │ │ │ │ ┌5A. PedunclePeduncle: Flower stem. equal to or shorter than the spadixSpadix: A spike of minute flowers closely arranged around a fleshy axis and typically enclosed in a spathe. .
│ │ │ │ │ ┌6A. PistilPistil: The female reproductive part of a flower. s truncate, flowering spadixSpadix: A spike of minute flowers closely arranged around a fleshy axis and typically enclosed in a spathe. 12-25 cm. long, laminaLamina: Leaf blade. pinnaPinna: A primary division of a pinnate leaf. e not constricted at the base . 17. Monstera spruceana. │ │ │ │ │ └6B. PistilPistil: The female reproductive part of a flower. s with a conical styleStyle: The usually slender part of a pistil, connecting the ovary and the stigma. , flowering spadixSpadix: A spike of minute flowers closely arranged around a fleshy axis and typically enclosed in a spathe. 8-12 cm. long, pinnaPinna: A primary division of a pinnate leaf. e usually constricted at the base .. 8. Monstera subpinnata. │ │ │ │ ├5B. PedunclePeduncle: Flower stem. more than 4 cm. longer than the spadixSpadix: A spike of minute flowers closely arranged around a fleshy axis and typically enclosed in a spathe. .
│ │ │ │ │ ┌7A. Flowering spadixSpadix: A spike of minute flowers closely arranged around a fleshy axis and typically enclosed in a spathe. 4-6 cm. long, 1.0-1.2 cm. thick, stem 5-10 mm. thick, pedunclePeduncle: Flower stem. 5-8 mm. thick (Colombia) . 9. Monstera gracilis. │ │ │ │ │ └7B. Flowering spadixSpadix: A spike of minute flowers closely arranged around a fleshy axis and typically enclosed in a spathe. 7-16 cm. long, 1.5-2.5 cm. thick, stem 15-40 mm. thick, pedunclePeduncle: Flower stem. 10-16 mm. thick . 7. Monstera dilacerata. │ ├2B. LaminaLamina: Leaf blade. with perforations. │ │ ┌8A. Secondary lateral veinVein: Venation types: A. midrib; B. primary lateral veins; C. interprimaray veins; D. secondary veins; E. collective veins; F. tertiary veins; G. basal ribs; H. basal veins. s parallelParallel: Parallel Venation. .
│ │ │ ┌9A. PinnaPinna: A primary division of a pinnate leaf. e 8-12 per side, petiolePetiole: Leaf stem. sheath deciduous, flowering spadixSpadix: A spike of minute flowers closely arranged around a fleshy axis and typically enclosed in a spathe. 4-6 cm. long, pedunclePeduncle: Flower stem. 8-18 cm. long, below 1000 m. (Colombia) . 9. Monstera gracilis. │ │ │ └9B. PinnaPinna: A primary division of a pinnate leaf. e 12-20 per side, petiolePetiole: Leaf stem. sheath persistentPersistent: Remaining attached to the plant beyond the usual time of falling. , flowering spadixSpadix: A spike of minute flowers closely arranged around a fleshy axis and typically enclosed in a spathe. 9-12 cm. long, pedunclePeduncle: Flower stem. 20-30 cm., above 1600 m. (Costa Rica) . 10. Monstera epipremnoides. │ │ ├8B. Secondary lateral veinVein: Venation types: A. midrib; B. primary lateral veins; C. interprimaray veins; D. secondary veins; E. collective veins; F. tertiary veins; G. basal ribs; H. basal veins. s reticulateReticulate: Reticulate Venation. .
│ │ │ ┌10A. PetiolePetiole: Leaf stem. sheath green and persistentPersistent: Remaining attached to the plant beyond the usual time of falling. 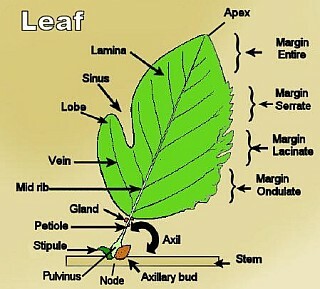 , laminaLamina: Leaf blade. membranaceous, spatheSpathe: A large sheathing bract enclosing the flower cluster. decurrentDecurrent: Extending down the stem below the point of attachment. on the pedunclePeduncle: Flower stem. for 3-8 cm. (Costa Rica) .. 6. Monstera membranacea. │ │ │ ├10B. PetiolePetiole: Leaf stem. sheath deciduous or at least marcescentMarcescent: Withering but remaining attached to the stem. , laminaLamina: Leaf blade. coriaceousCoriaceous: Resembling or having the texture of leather. to subcoriaceousCoriaceous: Resembling or having the texture of leather. , spatheSpathe: A large sheathing bract enclosing the flower cluster. not decurrentDecurrent: Extending down the stem below the point of attachment. on the pedunclePeduncle: Flower stem. .
│ │ │ │ ┌11A. LaminaLamina: Leaf blade. shorter than the petiolePetiole: Leaf stem. , less than 1 1/3 times longer than broad, pistilPistil: The female reproductive part of a flower. s in fruit 10-18 mm. across .. 22. Monstera deliciosa. │ │ │ │ ├11B. LaminaLamina: Leaf blade. exceeding the petiolePetiole: Leaf stem. , more than 1 1/3 times longer than broad, pistilPistil: The female reproductive part of a flower. s in fruit 5-8 mm. across. │ │ │ │ │ ┌12A. PetiolePetiole: Leaf stem. white-spotted, laminaLamina: Leaf blade. bright green, pedunclePeduncle: Flower stem. more than 12 cm. long, dried pistilPistil: The female reproductive part of a flower. s with a golden-colored cap .. 16. Monstera punctulata. │ │ │ │ │ └12B. PetiolePetiole: Leaf stem. and laminaLamina: Leaf blade. dull green, pedunclePeduncle: Flower stem. less than 11 cm. long, dried pistilPistil: The female reproductive part of a flower. s brown or black, not capitate . 15. Monstera dubia. ├1B. LaminaLamina: Leaf blade. with the margins entire, or with a few lacerations but not regularly pinnatifidPinnatifid: . │ ┌13A. LaminaLamina: Leaf blade. with perforations. │ │ ┌14A. PetiolePetiole: Leaf stem. 5-18 cm. long, pedunclePeduncle: Flower stem. more than twice the length of the spadixSpadix: A spike of minute flowers closely arranged around a fleshy axis and typically enclosed in a spathe. , stems 2-10 mm. thick, spatheSpathe: A large sheathing bract enclosing the flower cluster. deep yellow abaxialAbaxial: Facing away from the stem of a plant (especially denoting the lower surface of a leaf). ly. │ │ │ ┌15A. Flowering spadixSpadix: A spike of minute flowers closely arranged around a fleshy axis and typically enclosed in a spathe. 5-10 mm. thick, mature berries globose, below 1000 m. elev .. 12. Monstera obliqua. │ │ │ └15B. Flowering spadixSpadix: A spike of minute flowers closely arranged around a fleshy axis and typically enclosed in a spathe. about 20 mm. thick, mature berries prismatic, above 1400 m. (Colombia) .. 11. Monstera xanthospatha. │ │ ├14B. PetiolePetiole: Leaf stem. longer than 18 cm., pedunclePeduncle: Flower stem. less than twice the length of the flowering spadixSpadix: A spike of minute flowers closely arranged around a fleshy axis and typically enclosed in a spathe. , stem 10-60 mm. thick, spatheSpathe: A large sheathing bract enclosing the flower cluster. not deep yellow abaxialAbaxial: Facing away from the stem of a plant (especially denoting the lower surface of a leaf). ly. │ │ │ ┌16A. Secondary lateral veinVein: Venation types: A. midrib; B. primary lateral veins; C. interprimaray veins; D. secondary veins; E. collective veins; F. tertiary veins; G. basal ribs; H. basal veins. s reticulateReticulate: Reticulate Venation. .
│ │ │ │ ┌17A. PetiolePetiole: Leaf stem. sheath persistentPersistent: Remaining attached to the plant beyond the usual time of falling. , laminaLamina: Leaf blade. thinly membranaceous, pedunclePeduncle: Flower stem. 13-17 cm. long (Costa Rica) .. 6. Monstera membranacea. │ │ │ │ ├17B. PetiolePetiole: Leaf stem. sheath deciduous, laminaLamina: Leaf blade. subcoriaceousCoriaceous: Resembling or having the texture of leather. to coriaceousCoriaceous: Resembling or having the texture of leather. , pedunclePeduncle: Flower stem. 5-12 cm.long. │ │ │ │ │ ┌18A. SpatheSpathe: A large sheathing bract enclosing the flower cluster. 16-25 cm. tall, flowering spadixSpadix: A spike of minute flowers closely arranged around a fleshy axis and typically enclosed in a spathe. 10--13 cm. long, fruiting spadixSpadix: A spike of minute flowers closely arranged around a fleshy axis and typically enclosed in a spathe. green (Mexico to Honduras) .. 4. Monstera siltepecana. │ │ │ │ │ └18B. SpatheSpathe: A large sheathing bract enclosing the flower cluster. 6-12 cm. tall, flowering spadixSpadix: A spike of minute flowers closely arranged around a fleshy axis and typically enclosed in a spathe. 5-10 cm. long, fruiting spadixSpadix: A spike of minute flowers closely arranged around a fleshy axis and typically enclosed in a spathe. pale yellow (Costa Rica to South America) . 15. Monstera dubia. │ │ │ ├16B. Secondary lateral veinVein: Venation types: A. midrib; B. primary lateral veins; C. interprimaray veins; D. secondary veins; E. collective veins; F. tertiary veins; G. basal ribs; H. basal veins. s parallelParallel: Parallel Venation. (rarely reticulateReticulate: Reticulate Venation. near the margin). │ │ │ │ ┌19A. PedunclePeduncle: Flower stem. 4-10 cm. shorter than the spadixSpadix: A spike of minute flowers closely arranged around a fleshy axis and typically enclosed in a spathe. , juvenile a shingle plant (Mexico to Honduras) . 14. Monstera acuminata. │ │ │ │ ├19B. PedunclePeduncle: Flower stem. equal to or exceeding the spadixSpadix: A spike of minute flowers closely arranged around a fleshy axis and typically enclosed in a spathe. , juvenile with exsertedExserted: Protruded, stretched out, or (esp of stamens) projecting. leaves. │ │ │ │ │ ┌20A. Primary lateral veinVein: Venation types: A. midrib; B. primary lateral veins; C. interprimaray veins; D. secondary veins; E. collective veins; F. tertiary veins; G. basal ribs; H. basal veins. s 5-10 mm. apart, above 1600 m. elev. (Panama and Costa Rica) .. 5. Monstera oreophila. │ │ │ │ │ ├20B. Primary lateral veinVein: Venation types: A. midrib; B. primary lateral veins; C. interprimaray veins; D. secondary veins; E. collective veins; F. tertiary veins; G. basal ribs; H. basal veins. s more than 15 mm. apart. │ │ │ │ │ │ ┌21A. Flowering spadixSpadix: A spike of minute flowers closely arranged around a fleshy axis and typically enclosed in a spathe. less than 13 cm. long, fruiting spadixSpadix: A spike of minute flowers closely arranged around a fleshy axis and typically enclosed in a spathe. less than 17 cm. long . 1. Monstera adansonii. │ │ │ │ │ │ ├21B. Flowering spadixSpadix: A spike of minute flowers closely arranged around a fleshy axis and typically enclosed in a spathe. more than 15 cm. long, fruiting spadixSpadix: A spike of minute flowers closely arranged around a fleshy axis and typically enclosed in a spathe. more than 20 cm. long. │ │ │ │ │ │ │ ┌22A. Leaf base abruptly truncate or subcordateCordate: (16- )20-40 primary lateral veinVein: Venation types: A. midrib; B. primary lateral veins; C. interprimaray veins; D. secondary veins; E. collective veins; F. tertiary veins; G. basal ribs; H. basal veins. s per side, flowering spadixSpadix: A spike of minute flowers closely arranged around a fleshy axis and typically enclosed in a spathe. 2.5-3.5 cm. thick .. 2. Monstera lechleriana. │ │ │ │ │ │ │ └22B. Leaf laminaLamina: Leaf blade. with a broadly cuneateCuneate: portion at the base, 12-16 primary lateral veinVein: Venation types: A. midrib; B. primary lateral veins; C. interprimaray veins; D. secondary veins; E. collective veins; F. tertiary veins; G. basal ribs; H. basal veins. s per side, flowering spadixSpadix: A spike of minute flowers closely arranged around a fleshy axis and typically enclosed in a spathe. 1.5-2.0 cm. thick (Mexico and Guatemala). 3. Monstera acacoyaguensis. │ ├13B. LaminaLamina: Leaf blade. entire, without perforations. │ │ ┌23A. LaminaLamina: Leaf blade. 13-120 cm. long, pedunclePeduncle: Flower stem. 1-4 cm. thick. │ │ │ ┌24A. Fruiting spadixSpadix: A spike of minute flowers closely arranged around a fleshy axis and typically enclosed in a spathe. 2-4 cm. thick, seeds 5-8 mm. long, petiolePetiole: Leaf stem. sheath deciduous .. . 1. Monstera adansonii. │ │ │ ├24B. Fruiting spadixSpadix: A spike of minute flowers closely arranged around a fleshy axis and typically enclosed in a spathe. 4.0-6.5 cm. thick, seeds 10-20 mm. long, petiolePetiole: Leaf stem. sheath persistentPersistent: Remaining attached to the plant beyond the usual time of falling. .
│ │ │ │ ┌25A. LaminaLamina: Leaf blade. 35-65 cm. long, pedunclePeduncle: Flower stem. 7-13 cm. long, seeds 16-20 mm. long, internodes 6-12 cm. (Mexico to Honduras). '" . 14. Monstera acuminata. │ │ │ │ └25B. LaminaLamina: Leaf blade. 70-120 cm. long, pedunclePeduncle: Flower stem. 20-40 cm. long, seeds 10-13 mm. long, internodes 4-6 cm . 2. Monstera lechleriana. │ │ ├23B. LaminaLamina: Leaf blade. less than 35 cm. long, pedunclePeduncle: Flower stem. 2-9 mm. thick. │ │ │ ┌26A. PedunclePeduncle: Flower stem. 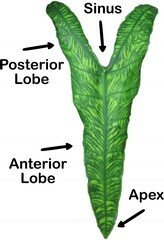 equal to or shorter than the spadixSpadix: A spike of minute flowers closely arranged around a fleshy axis and typically enclosed in a spathe. , pendent epiphyteEpiphyte: A plant that grows harmlessly upon another plant and derives its moisture and nutrients from the air, rain, and sometimes from debris accumulating around it. flowering on hanging stems, stems with a thick tan cuticle, often flaking off in dried specimens. │ │ │ │ ┌27A. LaminaLamina: Leaf blade. more than 20 cm. long and 15 cm. wide . 15. Monstera dubia. │ │ │ │ ├27B. LaminaLamina: Leaf blade. less than 20 cm. long and 15 cm. wide. │ │ │ │ │ ┌28A. PetiolePetiole: Leaf stem. less than 4 cm. long, spadixSpadix: A spike of minute flowers closely arranged around a fleshy axis and typically enclosed in a spathe. pendent . 21. Monstera tuberculata. │ │ │ │ │ ├28B. PetiolePetiole: Leaf stem. more than 7 cm. long, spadixSpadix: A spike of minute flowers closely arranged around a fleshy axis and typically enclosed in a spathe. erect. │ │ │ │ │ │ ┌29A. LaminaLamina: Leaf blade. 2-5 times longer than broad, veinVein: Venation types: A. midrib; B. primary lateral veins; C. interprimaray veins; D. secondary veins; E. collective veins; F. tertiary veins; G. basal ribs; H. basal veins. s obscure (Costa Rica and Panama) .. 19. Monstera pittieri. │ │ │ │ │ │ └29B. LaminaLamina: Leaf blade. 1-2 times longer than broad, veinVein: Venation types: A. midrib; B. primary lateral veins; C. interprimaray veins; D. secondary veins; E. collective veins; F. tertiary veins; G. basal ribs; H. basal veins. s prominent in dried leaves (Costa Rica) .. 20. Monstera luteynii. │ │ │ ├26B. PedunclePeduncle: Flower stem. longer than the spadixSpadix: A spike of minute flowers closely arranged around a fleshy axis and typically enclosed in a spathe. , attached epiphyteEpiphyte: A plant that grows harmlessly upon another plant and derives its moisture and nutrients from the air, rain, and sometimes from debris accumulating around it. flowering in the climbing portion, stems green, lacking a thick flaky cuticle. │ │ │ │ ┌30A. PedunclePeduncle: Flower stem. 1~2 times the length of the leaves (laminaLamina: Leaf blade. and petiolePetiole: Leaf stem. ) (Panama) . 13. Monstera minima. │ │ │ │ ├30B. PedunclePeduncle: Flower stem. shorter than the leaves. │ │ │ │ │ ┌31A. SpatheSpathe: A large sheathing bract enclosing the flower cluster. deep yellow abaxialAbaxial: Facing away from the stem of a plant (especially denoting the lower surface of a leaf). ly, flowering spadixSpadix: A spike of minute flowers closely arranged around a fleshy axis and typically enclosed in a spathe. less than 8 cm. long, petiolePetiole: Leaf stem. s 5-18 cm. long, stem 2-10 mm. thick. │ │ │ │ │ │ ┌32A. Flowering spadixSpadix: A spike of minute flowers closely arranged around a fleshy axis and typically enclosed in a spathe. 5-10 mm. thick, mature berries globose, below 1000 m. elevation . 12. Monstera obliqua. │ │ │ │ │ │ └32B. Flowering spadixSpadix: A spike of minute flowers closely arranged around a fleshy axis and typically enclosed in a spathe. about 20 mm. thick, mature berries prismatic, above 1400 m. (Colombia) . 11. Monstera xanthospatha. │ │ │ │ │ │ └31B. SpatheSpathe: A large sheathing bract enclosing the flower cluster. pale yellow or cream abaxialAbaxial: Facing away from the stem of a plant (especially denoting the lower surface of a leaf). ly, flowering spadixSpadix: A spike of minute flowers closely arranged around a fleshy axis and typically enclosed in a spathe. more than 10 cm. long, petiolePetiole: Leaf stem. s more than 20 cm.long, stems 10-30 cm. thick .. 1. Monstera adansonii.